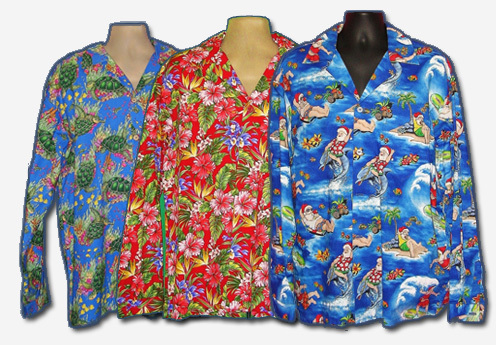 At last the long awaited long sleeved Hawaiian shirt is here. 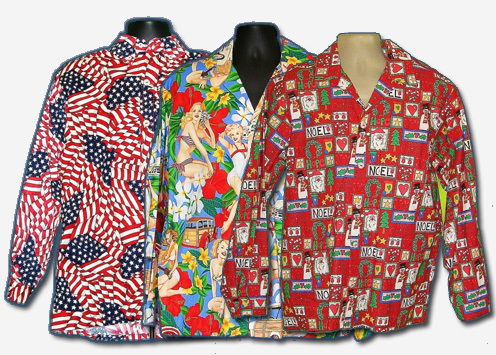 It is our regular button up Hawaiian shirts with long sleeves. They are great for those cool nights or wear them in the winter. They are also a great sun screen for those who want to protect their skin. They make great Christmas presents that can be worn in the cold weather. Any of our 200+ fabrics are available in long sleeves. Browse our shirts and check "Long Sleeve" to order!